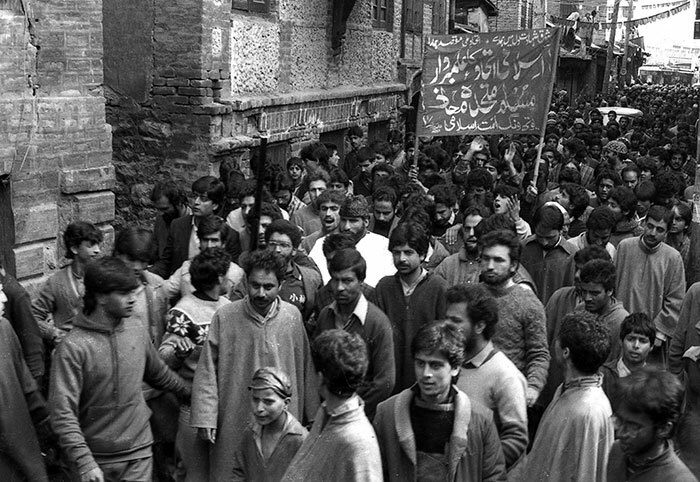 Jama’at-e-Islami J&K’s Muhammad Yusuf Shah leading an election rally in Maisuma in 1987. Jama’at-e-Islami’s (JeI) entry into Muslim United Front (MUF) was dramatic. 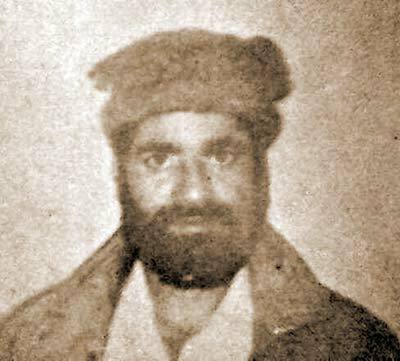 Persian professor Abdul Gani Bhat whom Jagomhan dismissed in February 1986 actually made the announcement of the party joining the alliance. Interestingly, it was even to Ameer-e-Jama’at, who also heard him making the announcement in Arin village where the party was holding in an Ijtema (meeting). To have Jama’at-e-Islami in MUF, was an important strategic step, accepts Prof Bhat sitting in his Sardar House at Wazirbagh. It was the only experienced party that shared MUF’s ideology, had courage to support it and had experience in politics. 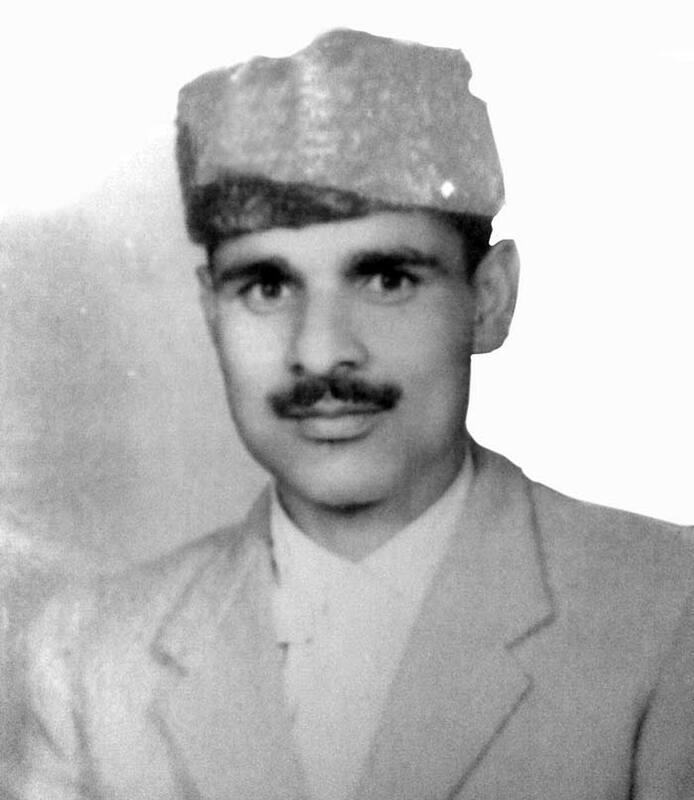 Muhammad Ashraf Sehrai (JeI Kupwara candidate). After it’s formal entry, Jama’at’s Batamaloo and Maisuma office became MUF’s new addresses. It was the only constituent in MUF which owned an official vehicle. A day after Prof Bhat announced Jama’at’s entry in MUF, its Ameer was attending the alliance meeting on July 13. “G M Bhat and I reached together for Botengo meeting,” recalls Prof Bhat. To everybody’s surprise he was asked to preside over the meet. Maulana Abbas Ansari, recently appointed convenor, and Qazi Nisar, coordinator MUF, were also present in the meeting. Under G M Bhat’s leadership MUF’s constitution – already prepared by Prof Bhat and Dr Ghulam Qadir Wani – was discussed. “I remember heading all MUF meeting,” says G M Bhat, whom his party recalled from retirement to head it again. “Bhat was deliberately made to feel special, and the leader of MUF, as only Jama’at had experience to fight elections,” feels Farooq. 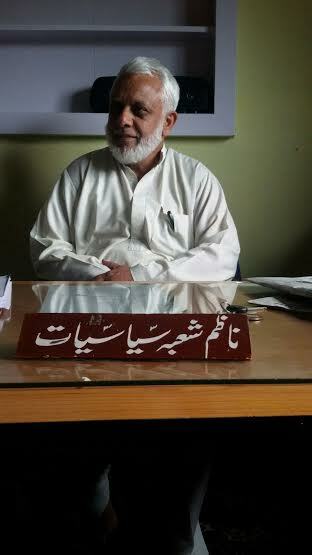 Jama’at is a cadre based socio-religious-political party that exists in Kashmir since 1946. But its formal entry into politics came in 1969 with local bodies election. However, after 1987 elections, Jama’at remained apolitical, citing loss of faith in democratic setup. The first official meeting of MUF took place in Botengo, Sopore. It acquired its name there. The first discussion that took place, remembers Prof Bhat, was about the nomenclature. Will MUF’s constitution mention state of J&K or simply J&K, was point of discussion. “State of J&K introduced it as one of the states of India while as J&K portrayed it as an independent entity,” explains G M Bhat. Four hours later MUF was formally born. It had a constitution, structure, and support of all the parties including Jama’at. Exactly 29 years later, G M Bhat, sitting in Jama’at’s Batmaloo office, terms the decision to join MUF as “difficult one”. Known for his high political ambitions, Bhat says he wanted to keep Jama’at-e-Islami aloof from MUF. Courtesy – ambiguous political nature of MUF. Some MUF constituents wanted to remain apolitical, something opposed by G M Bhat. “To steer clear of any confusion, I proposed to support MUF from outside, without making Jama’at one of its constituent members,” says G M Bhat. This was opposed by other constituents who wanted Jama’at to lead from the front. “They offered to help Jama’at during elections. But it would have created confusion only,” says G M Bhat. But G M Bhat had a point, what if you fail to support Jama’at for any reason; it will only create bitterness among MUF members. Finally, all MUF constituents agreed to participate in elections. Many believe, MUF’s creators Prof Bhat and Dr Wani, had already made up their mind to fight elections along with Jama’at. “They (Prof Bhat and Dr Wani) knew what they were doing. It was perhaps pre-decided to launch Kashmir’s first political forum, but not everything was shared with everybody by the duo,” feels Farooq. Except Qazi Nisar’s Umaat-e-Islami, everybody agreed to fight 1987 elections. Qazi Nisar was in jail that time, so MUF had to wait for his consent. A few days later when Qazi Nisar was released, MUF sent two men to get his consent, but they came back disappointed saying, ‘Qazi Sahab is a changed man. He ignored us’. Disappointed, G M Bhat (Ameer-e-Jama’at), Prof Ghulam Rasool Bacha and Prof Ashraf Saraf decided to visit Qazi personally. “Qazi Sahab was addressing a huge gathering at Islamabad when we reached there,” recalls G M Bhat. When Qazi Nisar saw G M Bhat and others approaching the stage, he cut short his speech. 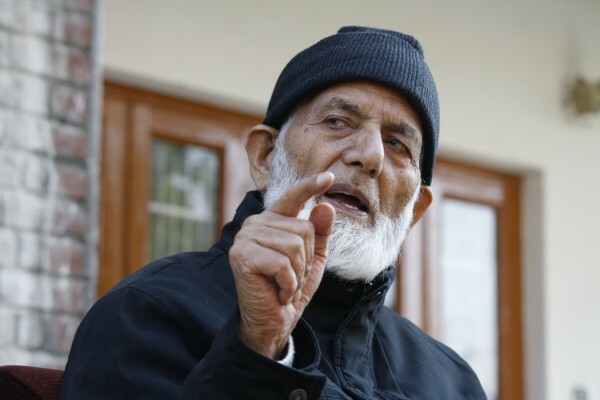 “I too could sense change in Qazi’s behaviour,” recalls G M Bhat. Without losing heart, G M Bhat got hold of microphone and welcomed Qazi on his release from jail. “I then invited him along with his followers to Srinagar’s Iqbal Park for a big rally MUF had planned,” recalls G M Bhat. At Iqbal Park, Qazi Nisar sat comfortably on stage while MUF announced its 40 candidates (32 from Jama’at), who made their first public appearance wearing Kafans (funeral shrouds). For a while everything was going smooth for MUF, huge public support, big rallies across Kashmir, and outpour of public sentiments on the streets, raised hopes of a comfortable victory. But it proved short-lived. The front line Jama’at-e-Islami leaders in 1987 state assembly elections. Interestingly, Lone’s inclusion in the party was decided on the day MUF convenor Maulana Abbas Ansari’s mother passed away. “Instead of attending her Nimaz-e-Jinaza (Funeral prayers) MUF members met and included Lone in the party,” says G M Bhat. Once back, G M Bhat cancelled all decisions taken in that meeting, including Lone’s entry into MUF. “This was unacceptable to me,” says G M Bhat. When results came, Lone’s exclusion from MUF proved costly, as his People’s Conference, bagged almost 1 lakh votes. “Had Lone been part of MUF, they would have won entire north Kashmir,” believes Farooq. However, days before elections, G M Bhat, on MUF constituent’s insistence, tried to negotiate a seat sharing deal with Lone. 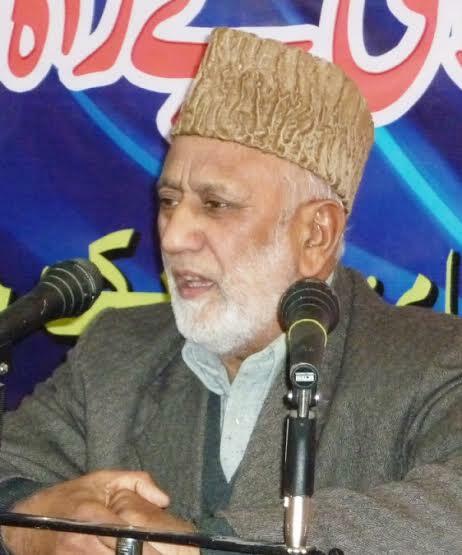 “He asked for important seats like Sopore and Kupwara that MUF was not ready to leave,” recalls G M Bhat. Finally, MUF was routed in the elections, as it managed to win just four seats: three in south and one in north. Two were bagged by Jama’at men. “Jama’at’s morally upright approach never allowed them to win popular vote,” feels Farooq.